Plumo gather in small flocks around calm bodies of water, grooming themselves and one another. 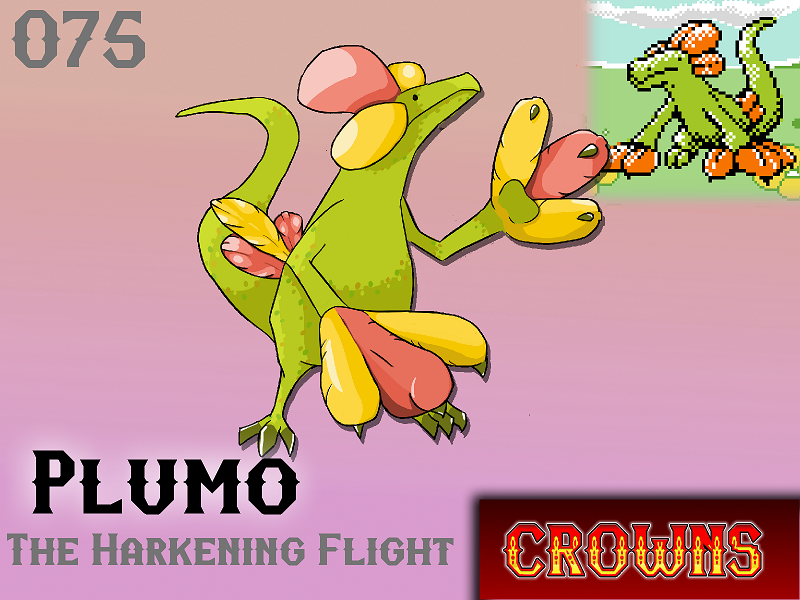 Their long claws, now transitioning into feathers, move slowly in the air - which inhibits Plumo's ability to slash at enemies. To mitigate this they have developed incessant grooming habits to ensure their claws move as aerodynamically and quickly through the air as possible. Plumo are expert jumpers. Flapping their arms downward in sync with their jump allows them to leap very high into the air. Heights of up to 20ft have been observed as they fall from the sky onto their prey. While Plumo can target other monsters they are much more likely to catch fish and insects. Unfortunately for Plumo it is more often prey than predator. Will Plumo make your team?